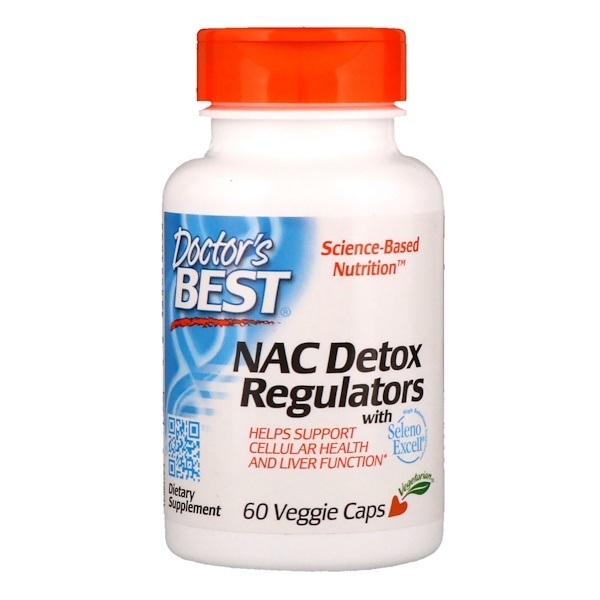 Doctor's Best NAC Detox Regulators supports the production and utilization of glutathione, the foremost protective and regulatory antioxidant naturally concentrated in all healthy cells. 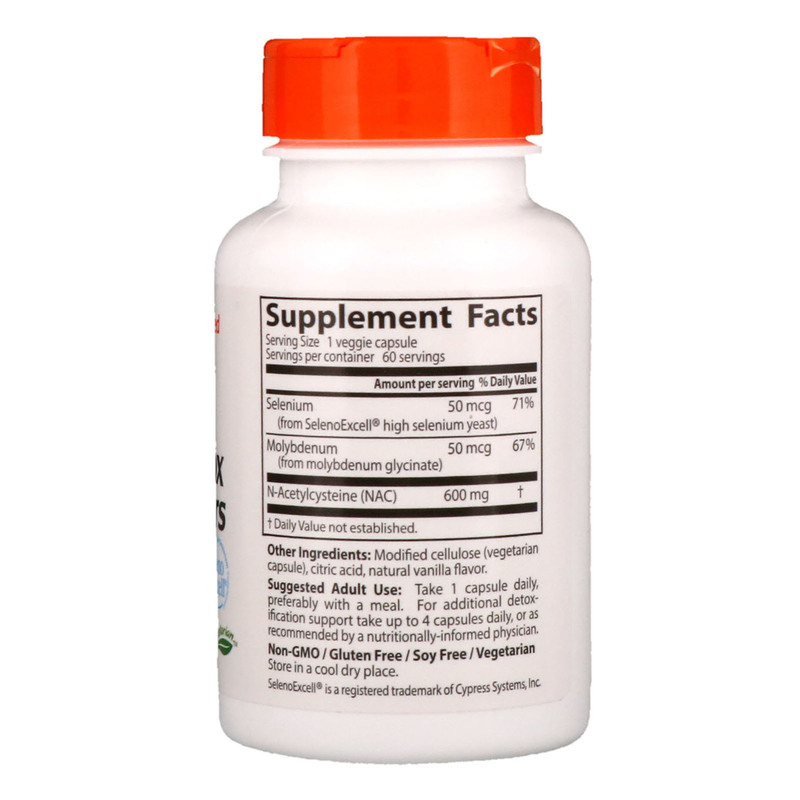 NAC (N-Acetylcysteine) is proven to boost glutathione production. Selenium and molybdenum are essential for facilitating glutathione's role in supporting energy production, detoxification and other fundamental life processes. Take 1 capsule daily, preferably with a meal. For additional detoxification support take up to 4 capsules daily, or as recommended by a nutritionally-informed physician. Modified cellulose (vegetarian capsule), citric acid, natural vanilla flavor.